continuing yesterday’s story, and having been moved first from my chair and then from the stuff I was actually working on, Arthur thought the rules of where cats are allowed to be and of physics in general needed a good challenging. So he went and sulked in the middle of the kitchen table, in an egg box. Apparently Arthur takes up no more space than a mere dozen eggs. 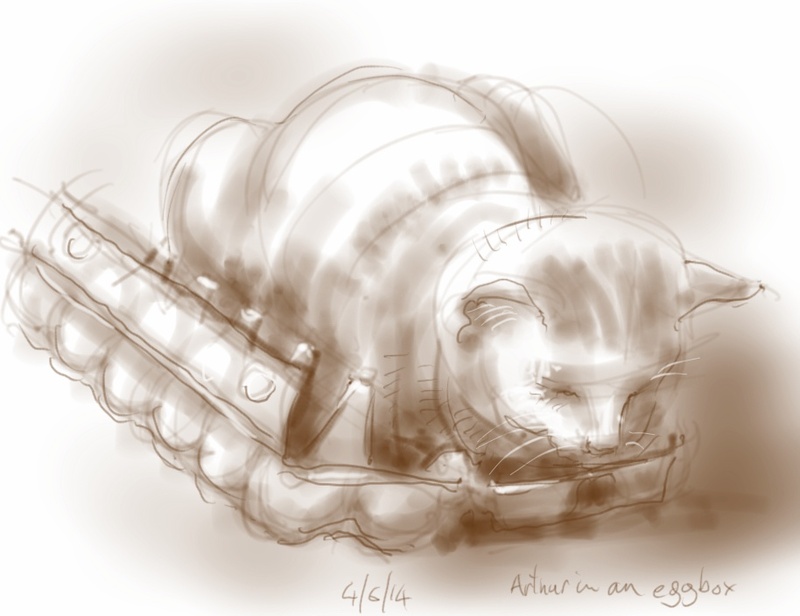 When I discovered where he was I sat down and drew him, which made me late and Arthur happy. He seems to be developing a taste for small boxes as he is back in the little one this afternoon. 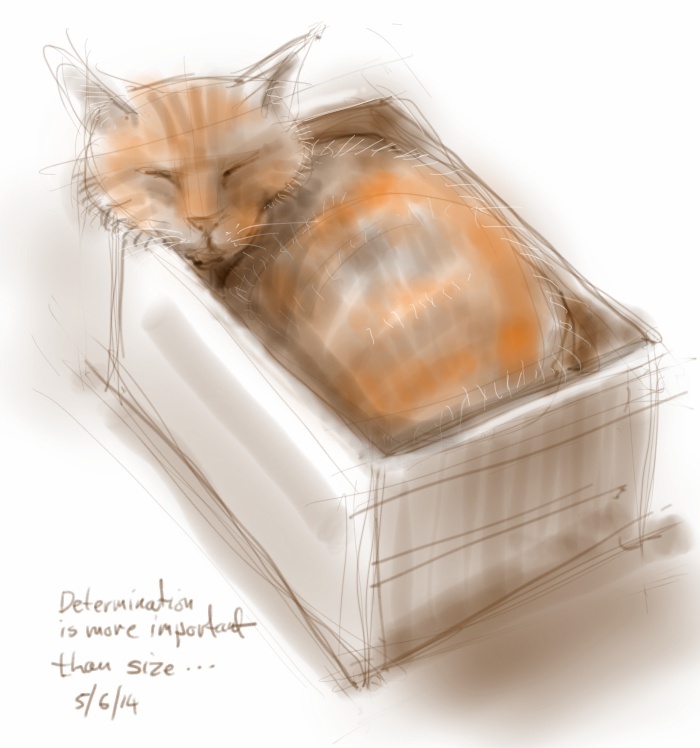 This entry was posted in Cats and tagged art, cat, cat in a box, cat in an egg box, cat sleeping, cat-of-the-day, drawing, ginger cat, illustration, sketch on June 5, 2014 by Nancy Farmer.